There is not doubt that shale shakers/scalping are the first phase for separating solids in the mud recycle system. Today, GN shale shakers are not only used in the oil & gas drilling project but also largely applied for the HDD (Horizontal Directional Drilling), water well drilling and dredge slurry system etc. GN a variety model of shale shaker applied for different purpose of drilling project. 1. Normally, GN double deck shale shaker or two-panel shale shaker are mainly used for the HDD, water well drilling and TBM drilling. First of all, dual shaker and two-panel shaker have the compact design and small footprint matching with small treating capacity and dual function requirement. 2. 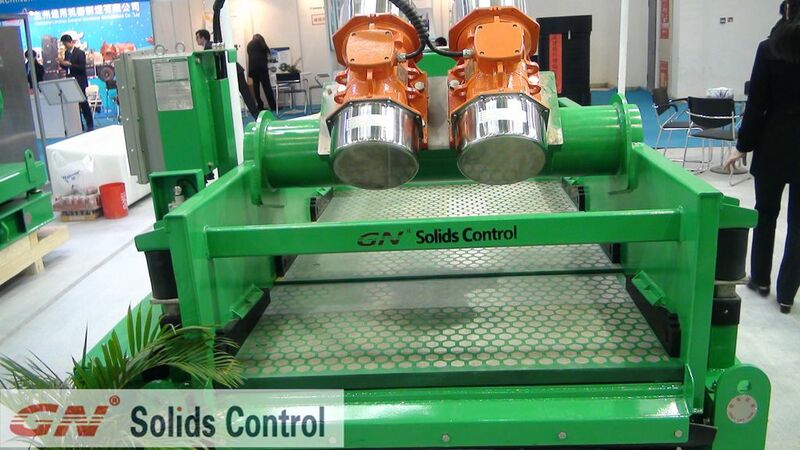 GN 3-panel and 4-panel shale shakers are largely used for the oil & gas drilling and dredge slurry application. Large treating capacity and fast replacement shaker screens are main advantages. GN 3- panel shale shaker VS Derrick FLC503 model shale shaker. 1. Both G force of shale shaker is under 7.5G. In Summary, there is not much difference between GN Shale shaker and Derrick shale shaker. GN Solids America also supplies desander, desilter, mud cleaner, decanter centrifuge, vertical cutting dryer and centrifugal pump etc.